Where the ambition and success of the modern business leader meets the eternal significance of a life lived in relationship with God. LeaderImpact is the marketplace arm of LIFE Ministry Kenya where the ambition and success of the modern business leader meets the eternal significance of a life lived in relationship with God. LeaderImpact challenges leaders to grow in their personal, professional and spiritual lives through inspiring events, genuine discipleship - minded peer groups, and industry leading training opportunities. By providing uncommon opportunities, facilitating relationships that matter and introducing the opportunity for life change, LeaderImpact invites leaders to enter into the adventure and fulfillment of a life lived to the full. LeaderImpact is a (marketplace) leader - led and staff supported movement. The movement in each city is led by a city team – a team of marketplace leaders committed to driving the LeaderImpact mission - and supported by LeaderImpact staff. 4. Plugging into LeaderImpact domain strategies such as ELNET, Young Professionals, Body & Soul, Military Ministry, Athletes in Action, Faith & Law Around the Globe (FLAG) and Counselors Ministry. 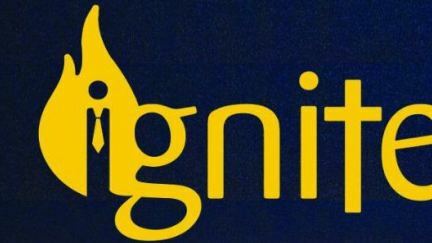 Ignite is a movement of young professionals that seeks to challenge young professionals to develop their walk with the Lord Jesus as well as excel in the market place and reach out to those young professionals who do not know Jesus.